The idea behind playing with a Hybrid string job is to combine the 'best of both worlds' in regards to the playing characteristics. Combining two various types of strings in order that the benefits of the combination out weight the benefit of just installing one type of string all the way around is the basic idea behind this theory. Our hope is that we pick the correct combination and make it work for us. Many players rely on the pre-packaged combinations to meet their needs but sometimes the trial and error along with a knowledgeable racket stringer / tuner can help you achieve the optimum combination on your own. Prepackaged hybrids have been around for some time and offer a wide range of options such as with the Prince Hybrid EXP -this combination offers thin poly with multifilament hybrid. In its basic form a hybrid will take one of two basic approaches - durability or playability and all others stem from this basic concept to some degre. There are some combinations that for various reasons seem viable on paper but in application they fall short. I will give a specific example below. Take the stringing client example with a Babolat Pure Storm Limited has been getting performance and playability he likes out of a Tecnifibre NRG 18g in the mains and a Volkl Cyclone Polyester string for the crosses. The playability is fine and the topspin adequate but the issue lies with the friction element of this particular string combination and the premature wear in the string. Tecnifibre NRG is a soft 'rubber' feeling string that notches easily although great care is taken when stringing in order to reduce the risk to notching. The surface appears smooth but when pulling across other types of strings over the main string bed like a textured poly, the strings tend to need lubrication in order to move smoothly. One thing that tends to happen to many stringers is that they ignore the friction and just 'burn' the strings as they go, causing the strings to already be partially worn before the installation is finished. One way to alleviate the problem of string wear while stringing is to lubricate the main strings with a little wax stick to smoothen the strings, this will make the installation of the crosses go much easier. 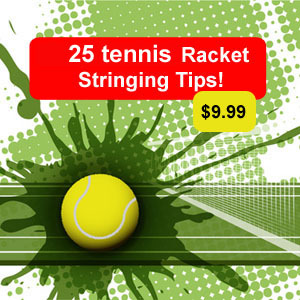 Generally you won't need to worry about this when stringing the racket with one string type. In this particular tennis frame the racket string pattern is dense and this also makes additional work for the stringer. If the string combination was reversed and the main strings were the Volkl Cyclone and theTecnifibre NRG was in the crosses you would have much less friction and less premature notching. The client wanted to stay with the multifilament in the mains and therefore we changed up the Cyclone and went with a smoother poly such as Tecnifibre Red Code. The strings still where a bit difficult to install but the overall stringbed felt great. 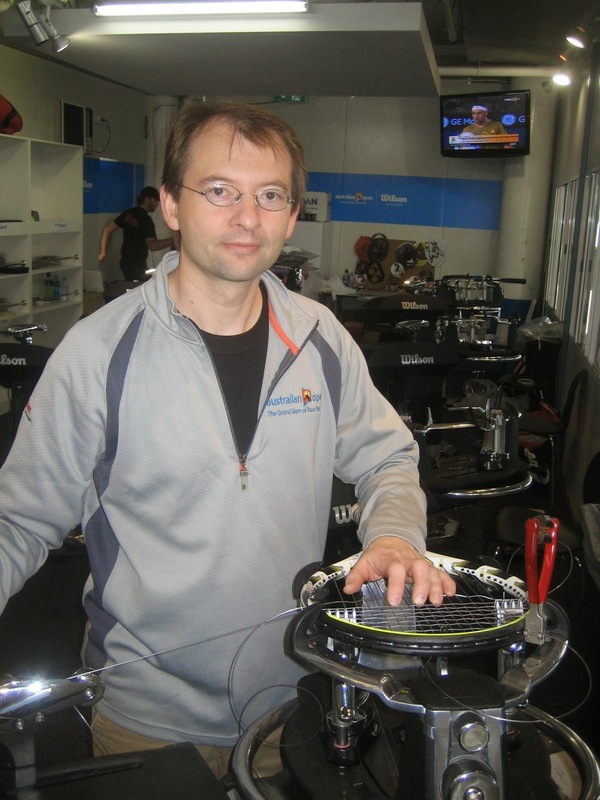 Experiment, apply trial and error and continue reading so that you can become more acquainted as to the string hybrid issues that can arise when we take our racket to be restrung.